Have you gotten an Easter basket yet? If not, we have a bit of one for you. Here you go! We hope you all are having a wonderful Easter (or Passover, or whatever you wish to celebrate!) weekend! Of course, this Easter basket bonanza of a doodle is our entry into Athena's fun and fantastic Caturday Art blog hop. Don't forget to visit Athena to see art created by all of our friends! Today is the last day of National Pet Poison Prevention Month. It also happens to be the day before Easter. 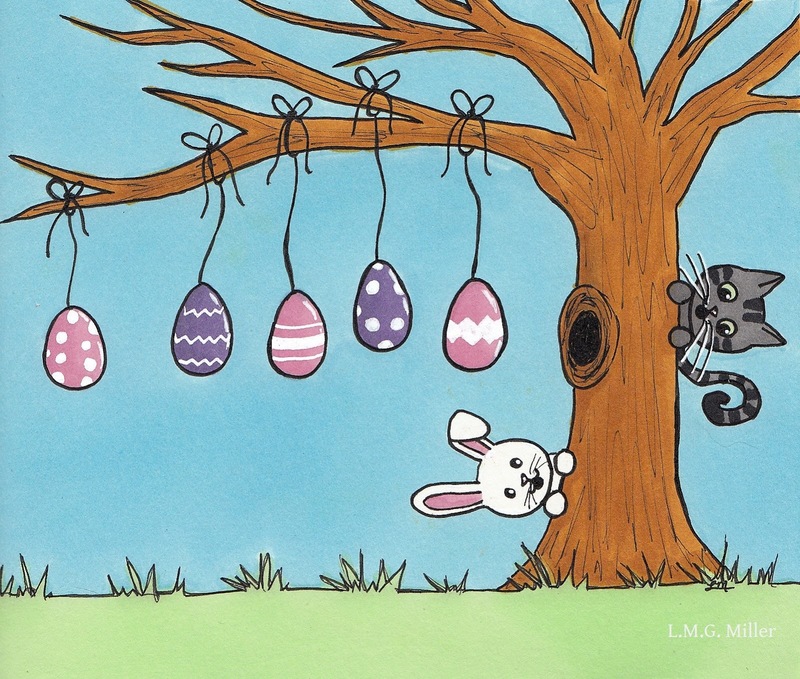 So, we're mixing those two together and giving you a summary of what Easter items to keep away from your furbaby, so that they do not end up at the emergency clinic this holiday weekend. 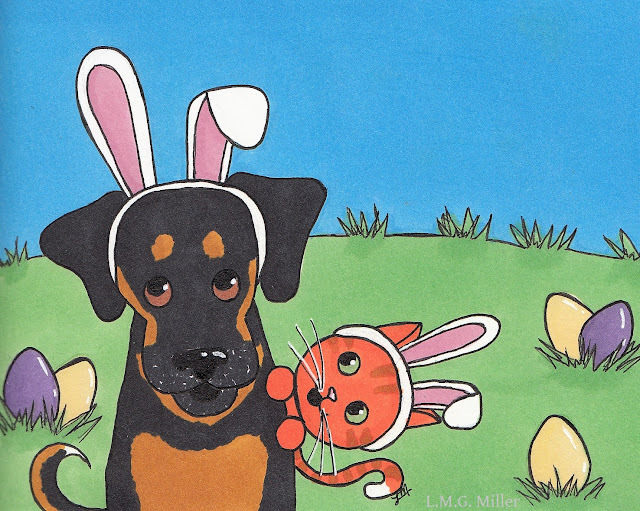 First, keep those Easter lilies away from your kitties and pups! There are a number of lily types that are toxic to furbabies, Easter lilies being one of the most dangerous. Any part of the Easter lily can be toxic, even the pollen. Lily toxicity can lead to any number of life-threatening side effects, one of them being acute kidney failure. As you surely already know or can guess, it is simply safest to keep any and all lilies out of the home, well out of reach of your kitty or pup. Other Easter goodies to keep away from your furbaby include chocolate, which is also toxic, as you all certainly already know. Don't forget the danger that other candies can pose as well, such as the sugar-free sort containing toxic xylitol. 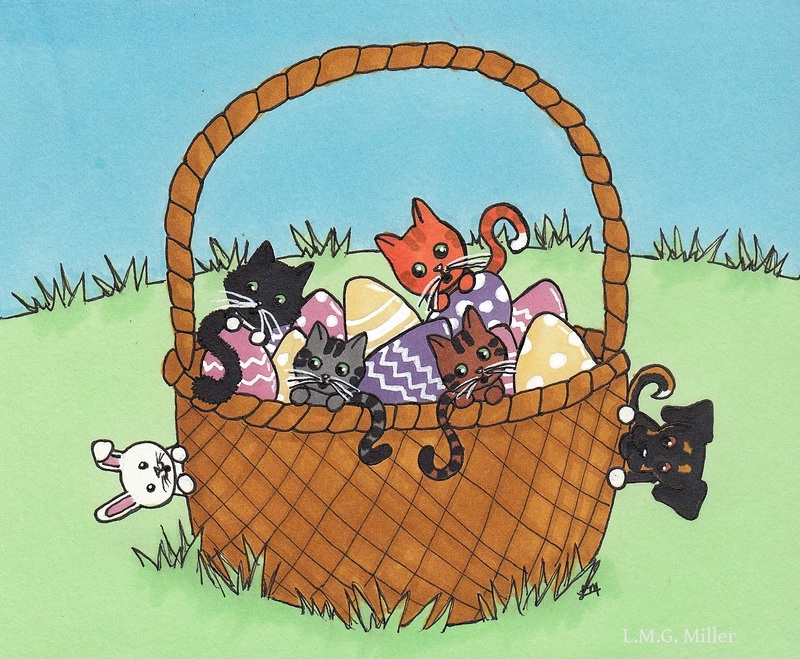 If you are giving or receiving Easter baskets that contain candies such as these, keep them well hidden away, so that hungry or curious furbabies cannot help themselves to a toxic snack. It is also worth it to noting the danger of Easter grass. This stringy grass-like material often used as a filler in Easter baskets can be dangerous if ingested by a kitty or pup. It can lead to emergencies such as intestinal blockage, perforation, or laceration. Try not to use any such materials in Easter baskets. If you receive a basket with this dangerous fake grass material, keep it well out of your furbaby's reach and dispose of it safely. 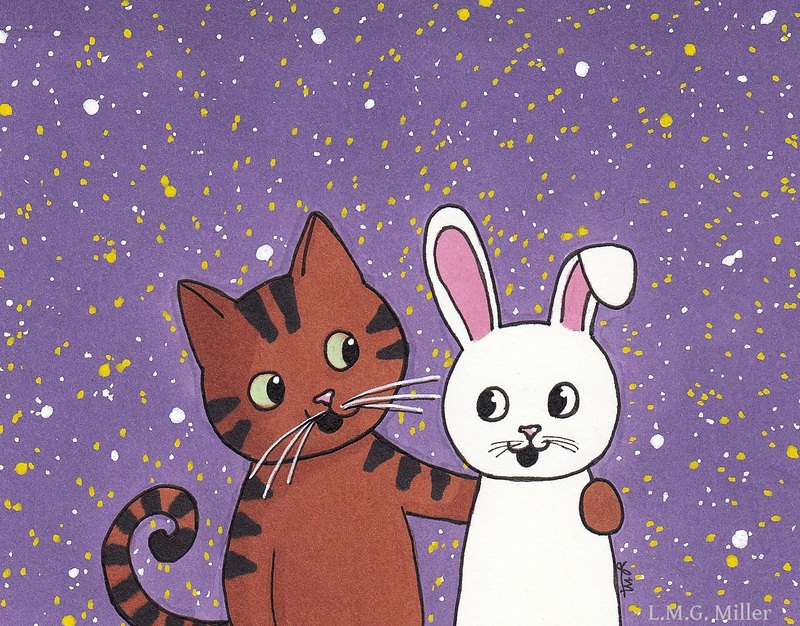 Happy Friday before Easter, friends! Speaking of Easter, the Friendly Fill-Ins are here to help us get in the festive mood today. 1. For Easter (or Passover), I _________. 2. My favorite Easter (or Passover) treat is _________. 3. Lately, the song _________ is stuck in my head. 4. The A-Z Blogging Challenge _________. 1. For Easter (or Passover), I will be making an Easter bunny dirt pie. 2. My favorite Easter (or Passover) treat is spending the day with my human and furry family. 3. Lately, the song "Frosty the Snowman" is stuck in my head. 4. The A-Z Blogging Challenge is going to be a challenge indeed. It's that time again, when Eddy decides to show off her skills at posing for the camera. Who am I kidding. Eddy decided to go for another blooper, with a strange pose and all sorts of terrible lighting. Bloopers are Eddy's favorite kind of shot to snap! We have one more precautionary safety tip for National Pet Poison Awareness Month. This simple tip is to be aware and cautious of where in your home you put anything that might contain potentially poisonous items. For example, if you keep medications, food, makeup, art supplies, or other similar items in your backpack, purse, briefcase, lunchbox, or other carrying container, be sure to keep this out of reach of your kitty or pup. When you come home after work or school, put your bag in a closed closet, or on a hook or shelf where your furbaby cannot reach. This will help keep them from sneaking into your bag and getting into any dangerous medications, snacks, or other similar items that you might have left in there. In this same line of thought, always be cautious where you put your groceries when you come home from shopping. We might bring home any number of food items, cleaners, or other products that contain potentially poisonous ingredients. So, do not leave any such grocery bags or products unattended, but instead be sure to put all groceries and other potentially toxic items securely out of reach as quickly as possible. If need be, for safety's sake, you can block your kitty or pup out of the room that contains the groceries, at least while you're tucking them safely away. All in all, this is just yet another tip reminding you to always take any and all details into consideration when it comes to your furbaby's health and safety. We may see our purse or a bag of groceries as safe, but for your furbaby it might not be. So, as always, think ahead and take any precautions, no matter how big or how small, to keep that kitty or pup of yours safe and sound. It will probably come as no surprise to many of you that we're kicking off this Thursday with the Thoroughly Poetic Thursday challenge, hosted by our pals Angel Sammy and Teddy. Now, it's that time again when I try my darnedest to give you all some semblance of an explanation as to how I got from that beautiful photo up there, to my strange poem. So, when I saw that photo, the sight of such a beautiful collection of flowers immediately brought to my mind the Garden of Eden. As I've said before, I was born, raised, and still am Catholic, so these sorts of things tend to happen. Anyway, fast forward to the first inhabitants of the Garden of Eden, and what then came to my mind was the story of Adam and Eve's first sons, Cain and Abel. Who knows this story? Long story short, Cain killed Abel out of jealousy, and then Cain retreated from Eden to the Land of Nod. As a bit of bonus info, the Land of Nod is east of Eden, and this was the concept behind John Steinbeck's tale known as, that's right, East of Eden. Anyway. I digress. All I can say now is that all of these random thoughts somehow resulted in the weird and random poem below. The first was Carl and Alvin the other. Where beautiful flowers bloomed all around. But raising tulips was neither brother's forte. No, gardeners they were not, nay. But their livestock was not the typical kind that was bartered. And on their farms it was cod that they did oversee. But because they were strong and outgrew Carl's very quickly. And Carl did not find Alvin's fortune the least bit fair. And that far and wide Alvin's luck did spread. For everyone also deemed Alvin as the one who was charming. Which, compared to his brother's, were much, much thicker. And even the nails on his hefty paws. Alvin's cod farm success was just the icing on the cake. It seemed to Carl that his brother could simply make no mistake. Prospective buyers gave Alvin nothing but applause. Carl's cod, on the other hand, was deemed far too flawed. And with that plan he ran. Carl tiptoed to Alvin's farm, staying out of sight. And then off of his brother's property he did plod. To the market is where Carl took Alvin's fish. Money and gain for himself was his only wish. But Carl's foul deed fooled no one. And Carl then learned what it was like to be shunned. Carl decided to pay a visit to the town's wise man, Jeremiah. As the reason for his trip Jeremiah had already inferred. And was the only person who, towards Carl, acted nice. Jeremiah told Carl, "Envy is a dangerous game. And now you must figure out a way to rid yourself of the shame." Jeremiah did nothing but point to a piece of a map. Jeremiah was indeed a man of great guile. For the old man had reminded him of the neighboring Land of Cod. And so Carl formed yet another plan. This one, he hoped, would not make him less of a man. Carl packed up his things and hit the road. He hoped he would be returning with a far heavier load. Carl finally reached the Land of Cod. He could not help but rejoice and applaud. His plan Carl did not want to delay. Where he could not help but gawk. They called it the Land of Cod for good reason. For here the grandest of grand cod were always in season. And with cod were vastly overflowing. And so to the waters he set out with his net. And straight into his net they did careen. And perhaps therefore put up not even an ounce of a fight. Carl was back on the road, even singing a song. Carl knew he would still be greeted with frowns. Nevertheless, to his brother Alvin's farm is where he first went. Carl hoped his brother would not slam the door on his advent. Though his brother's face was quite unhappy and grey. Who under his breath had began to mutter. At Alvin's feet, Carl placed the fruit of the Land of Cod. The fish were so many that they covered all of the sod. "But with this, I hope to win your forgiveness, if you permit." For his brother's mercy did not waver. And even invited him in for some tea. And from then on the brothers were a mighty team. Thimble gets to show off some recent photos of herself now. To be honest, though, she's not terribly thrilled with these shots. Thimble is quite unhappy with me when it comes to this photo shoot. You see, this here lazy human used the zoom on the camera rather than get up and get some close-up shots of Thimble's adorable face. Now, Thimble is certain that the zoomed camera added 10 lbs, and that makes this little kitty less than thrilled. If only Thimble's human hadn't been so lazy, she wouldn't have to suffer such indignity. 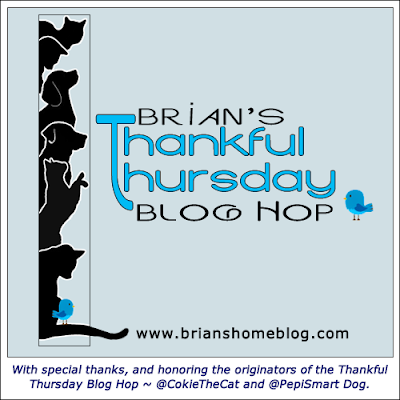 To get her mind off of the indignity, though, Thimble is now participating in Brian's Thankful Thursday Blog Hop. Thimble and all of us here are thankful that the temperatures here in our corner of the world are finally starting to rise. Though it has been raining some, our snow has melted away, and we do get to see some occasional sunshine. What else are we thankful for? All of you, of course! We are so grateful to be part of such a wonderful and kind community. We're of course here today with another National Pet Poison Awareness Month tip. Today, we're here to help you remember even the dirty details of keeping your kitty or pup safe. What we mean is, don't forget to keep your garbage can, dirty dishwasher, compost, and other similar areas safe against curious furbabies. Garbage cans, for example, might contain empty containers for potentially poisonous substances, such as detergents. The garbage can, dishwasher, or even compost might also contain the remnants of food that is toxic to a cat or dog. When it comes to the compost, or perhaps even the garbage can, moldy foods especially might be found within, and moldy food can contain mycotoxins, which are indeed toxic to our furbabies. All in all, what we're trying to say is to never forget all of the details, no matter how dirty, for ensuring that your kitty or pup is free from any form of poisoning or other injury. Use garbage cans that are securely lidded or pet-proof in another way. You could even hide your garbage can in a cabinet, drawer, or room to which your furbaby cannot gain access. Also ensure that your dirty dishwasher remains securely closed, and that any compost you have is kept somewhere that your furbaby cannot reach. Even if a precaution seems like overkill, it's probably not. After all, when it comes to the health and safety of your furbaby, it is of course best to take no risks. Today's National Pet Poison Awareness Month tip is an add-on to our tip from yesterday, when we reminded you to keep doors closed and other obstacles in place to keep your furbaby safe from substances and areas with poison. Taking that one step further, if needed, child-proofing products can be your your best friend even for those furry children in your life. For example, do you have a curious kitty or puppy who has found ways to open cabinets and drawers? This can put a furbaby at risk, such as if those cabinets and drawers contain human medications, cleaners, or other toxic items, or even sharp or other dangerous objects. To prevent prying paws from opening cabinets and drawers, you can get child-proof, or pet-proof, locks that make cabinets and drawers difficult or impossible to open without dexterity, or opposable thumbs. There are also child-proof locks to keep main doors securely closed. This can come in handy if you have a kitty or pup who knows how to manipulate certain door handles. We've mentioned this on here before, but also don't forget the usefulness of baby gates. They also make gates that are more specifically pet-proof, such as tall ones over which dogs and cats cannot easily jump. These can be used to block access to certain areas of the house to ensure your kitty or pup's safety. For example, you can use baby or pet gates to block access to the kitchen, especially if potentially toxic foods are being prepared. These gates can also be used to block off garbage cans, laundry areas, or other areas of the home where potential poisoning might occur. Just as with a human child, our kitties and pups can get themselves into trouble. Consider all areas of the home where danger might arise, and then do your research on what you can do to best prevent emergencies from dangers such as accidental poisoning. Do your best to always be one step ahead of your kitty or pup, as difficult as that may be. Evan let our housemate Toby star in yesterday's Mancat Monday post. Don't worry, though, because you get to see Evan today. See? Evan is the star tabby of this Tabby Tuesday! He even tilted his head just right so that you can see those tabby cheek stripes of his. Now, are you ready for a complete change of topic? Yes? Good. Because that's what you're going to get. 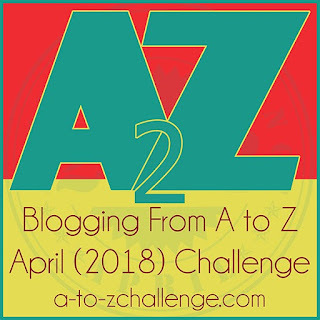 Last Tuesday was supposed to be the day that A to Z Challenge themes were revealed by participants. I am indeed participating in this April challenge, but I sort of already dropped the ball and forgot to incorporate a theme reveal into any posts last week. So, here I am a week late, finally revealing my theme for the A to Z Challenge. 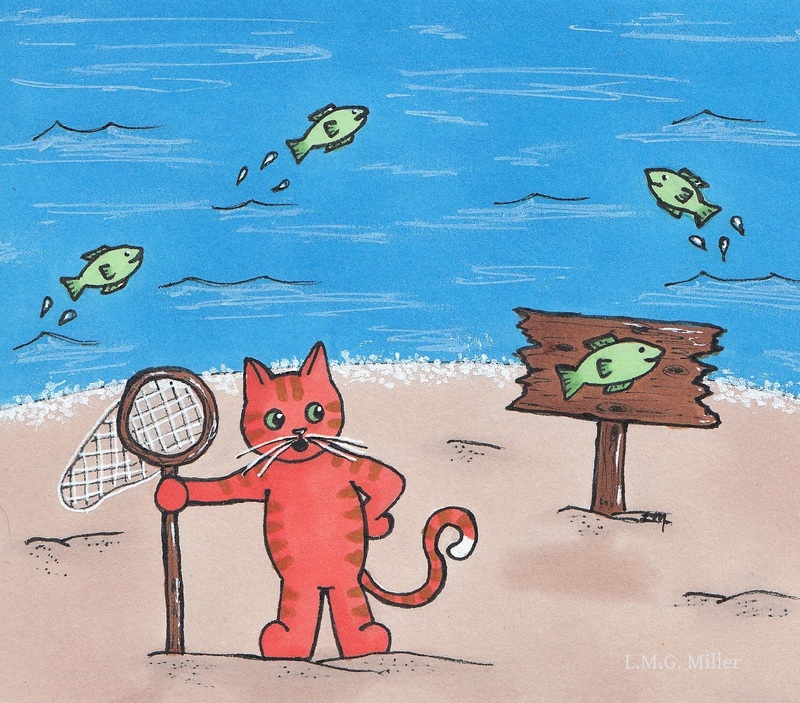 The brief theme description I shared on the official A to Z Challenge website is this one here: I'll be sharing artsy spins on classic stories, in the form of drawings geared toward animal lovers. I really don't know how well that explains it. 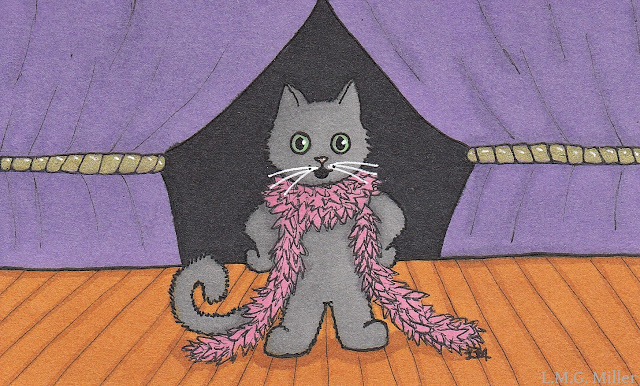 In case this helps clarify it at all, I'll be putting animal-inspired twists on the titles of some classic novels, short stories, and poems, and then creating doodles for these new titles. As for this week leading up to the A to Z Challenge, our daily doodles are going to be largely about a bit of Easter fun. We'll start with this one. Wishing all of you friends of ours a most terrific Tuesday! In these last couple days of National Pet Poison Awareness Month, we're going to summarize some tips on how to help keep your furbaby safe from potential poisons. 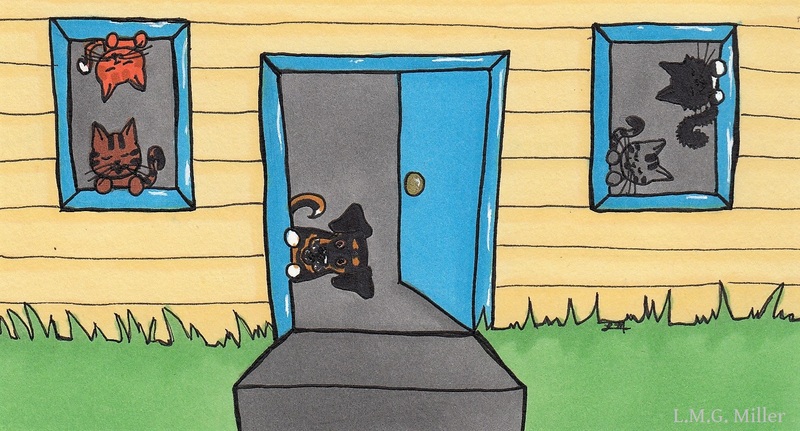 First, as obvious as it is, we're here today to remind you to use doors or other obstacles to properly block your kitty or pup's access to potentially dangerous products or areas of the house. For example, if your bathroom, laundry room, or utility closet contain dangerous chemicals, such as detergents, then keep their doors securely closed to bar your furbaby's entrance. Similarly, keep the door to your garage shut, in order to keep your furbaby away from gasoline, antifreeze, and other dangers that might be found in the garage. If you have a shed and your furbaby goes outdoors, keep the shed's door securely closed, especially if it houses fertilizers, pesticides, or other potentially toxic products. And don't forget to consider your garden, where toxic plants might grow, or where dangerous chemicals might be used. In such cases, monitor your furbaby while outdoors, and block your kitty or pup's access to the garden, such as with a secure fence. In short, consider all areas of the house and yard where poisoning or danger might arise, and ensure proper safety against said dangers. On this Mancat Monday, Evan agreed to let another mancat in the house take a turn. Our housemate Toby says hello! In case you can't tell, he's quite proud of his whiskers. Toby's also quite proud of his black furs, and his tuxie patches of white. Speaking of this mancat's black furs, that sort of relates to our Spark for today. 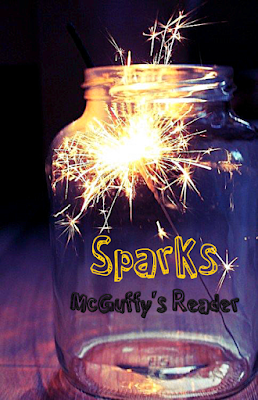 The Sparks blog hop, hosted by Annie of McGuffy's Reader, is a way for us to share positive thoughts in this often negative world. So, a positive thought we will share today. I have always seen this quote attributed to Albert Einstein. But, the perfectionist in me decided to double check the facts before posting this. Now the world wide web is giving me mixed signals, and saying that perhaps it was not, in fact, Einstein who spoke these words. Regardless of who spoke them, though, this is the quote I wanted to share today. What's more, I felt compelled to use this quote for my Spark after reading one of Friday's Friendly Fill-Ins that none other than our host Annie shared. With that fill-in, she made the following statement about herself: "I am the 'proverbial' black sheep in my family." Though I often hear black sheep being used as a negative comparison, I have always thought being the black sheep is a wonderful thing. It means you're different, and being unashamedly different is an admirable skill that takes grit and confidence. 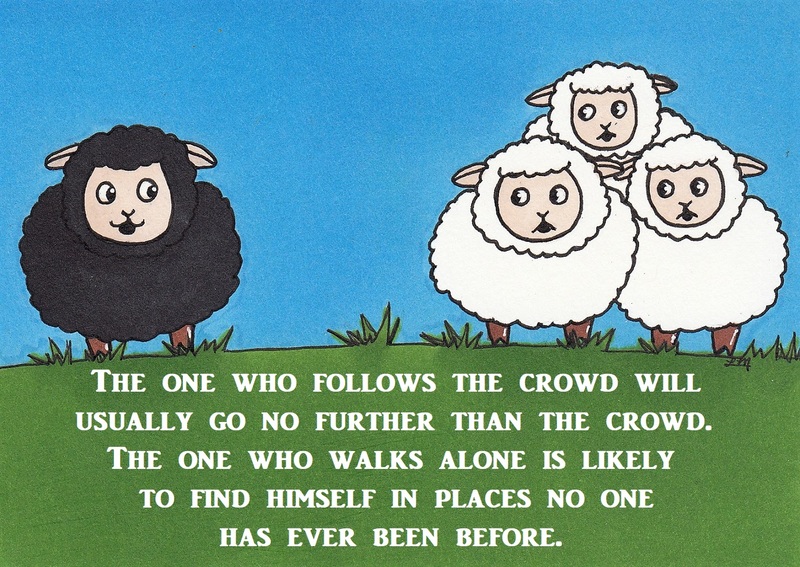 So, never be afraid to be the black sheep. Yesterday's National Pet Poison Awareness Month tip was about being cautious of the potentially poisonous bites of certain snakes and spiders. In a similar yet also different tip, we are today talking about those critters that could be toxic if ingested by our furbabies. For example, there are certain toads that contain substances on their body that can lead to severe toxicity. Two of the most poisonous toads are the Colorado River toad and the Marine toad. A pup or kitty making oral contact with these toads can lead to nearly immediate side effects such as drooling, vomiting, diarrhea, difficult breathing, difficulty walking, and potentially death if left untreated. Other critters that can poison a dog or cat if ingested include a butterfly or caterpillar that has eaten milkweed, which can be incredibly toxic to our furbabies. In addition to this, there are some caterpillars with hairs or other means capable of injecting venomous toxins, which can spell out trouble if a cat or dog puts the caterpillar in their mouth. Monarch caterpillars and a variety of moth caterpillars are some of those known to have the ability to inject toxins when threatened. Even fireflies can have poisonous effects on a cat or pup if ingested. Though their less-than-ideal taste is likely to keep a pup or kitty away, if ingested, they can cause vomiting and other gastrointestinal distress. For all of these reasons, especially if you are unsure of a critter's potential effects on your furbaby, simply do all that you can to prevent your kitty or pup's contact with or ingestion of bugs and other critters. As we mentioned yesterday, do your best to be aware of the types of critters in the area, and which ones can pose a risk to your pup or kitty. And, if your furbaby does come into contact with or ingest any bug of which you are unsure, do not hesitate to contact a veterinarian. You know who hasn't gotten to share a selfie here in a while? This girl. Pup Astrid hopes all of you kitty friends of ours don't mind seeing her mutty self today instead of one of the kitties. If it helps you decide, she sure does love kitties and would love to be friends with all of you kitties out there. Seriously, this girl is all shades of terrified of dogs. Kitties, though, she loves her some kitties. Oh, and don't let these pictures fool you. Our yard is all covered in that white stuff again now. Happy Spring, eh? Pup Astrid snapped these shots for none other than the Sunday Selfies blog hop, hosted by the fabulous Kitties Blue of The Cat on My Head. As part of National Pet Poison Awareness Month, we're now talking about the risk of poisonous bites your kitty or pup might receive from other critters. Depending on where you live, or where you might be visiting with your furbaby, you might find it necessary to be on the lookout for critters such as snakes and spiders whose bites can have toxic effects. When it comes to snakes, some of the dangerous ones include certain coral snakes and rattlesnakes. As for spiders, as most of you certainly know, black widows and brown recluses are amongst the most dangerous. Bites from such critters can result in any number of dangerous or life-threatening side effects, including cardiovascular shock, respiratory distress, neurological damage, and tissue damage, among others. When outdoors, especially in areas where snakes, spiders, or other venomous critters are known, always monitor your furbaby and keep an eye out for danger. As needed, research the wildlife of areas you will be, so that you know what snakes, spiders, and other critters of which to be cautious. Of course, if your kitty or pup is bitten by a spider or snake, especially a known venomous one, do not hesitate to seek veterinary care. In many such cases, counteracting the venom in a timely manner is crucial. I wanted to doodle up something for today that emanated all things springtime. For some reason, when I started brainstorming doodle ideas for this, the first thing that came to my mind was the iconic "The Hills are Alive" scene from The Sound of Music. I didn't feel like arguing with myself over it, so I just went with it. I don't know how truly spring-like this doodle feels. Seriously, those mountains are snow-capped, and haven't we all had enough snow by now? 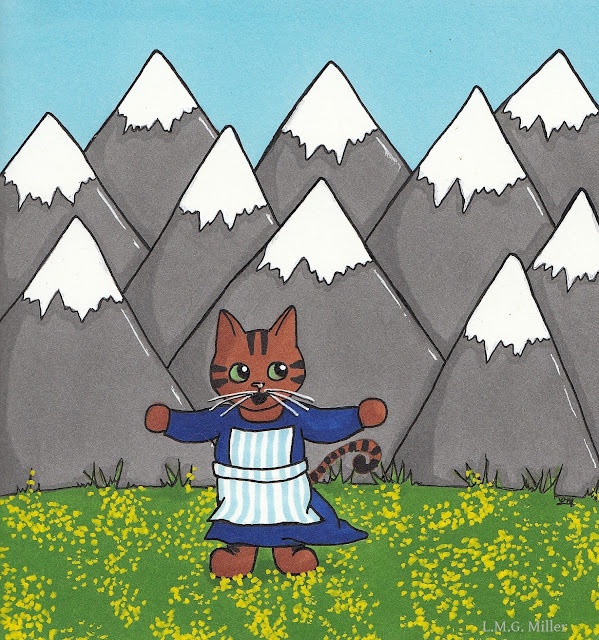 Regardless, I hope the wildflowers and happy kitty give this doodle at least a little bit more warmth. 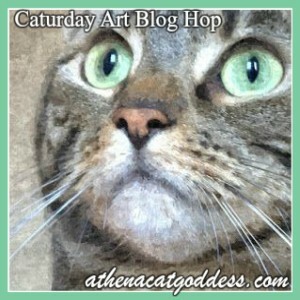 This is of course our entry into Athena's always fun Caturday Art blog hop! Have a sunny, springtime day! Today's National Pet Poison Awareness Month tip is about the toxic gas known as carbon monoxide (CO). CO is not only dangerous to us humans, but also incredibly dangerous to our kitties, pups, and other animals. CO most often results from car exhaust, fire/smoke, and when generator systems fail. When a large amount of CO is inhaled, this can lead to cells in the body becoming deprived of oxygen. CO poisoning can thereby result in life-threatening effects on the cardiovascular system, neurological system, and other important systems of the body. Needless to say, do all that you can to prevent both your furbaby's and your own exposure to CO. Set up CO monitors in your home, and ensure that they are always properly functioning. Of course also ensure that you have functioning fire and smoke alarms. There are all-in-one alarms on the market that detect fire, smoke, and CO. In addition to this, properly maintain any generators that you have, and do not use them if they are in any way malfunctioning. Also, of course, do not let your kitty or pup into a closed, unventilated garage where a car or other motor vehicle is running. CO can be a silent killer, so do all that you can to protect your furbaby, as well as yourself, from it and its deadly effects. There's aren't many feelings better than realizing it's Friday. On this Friday, as we do every Friday, we are having some fun participating in the Friendly Fill-Ins challenge, hosted by none other than Ellen of 15andmeowing and Annie of McGuffy's Reader. This week's fill-ins are all about family and springtime fun. 1. I am the _________ in my family. 2. I have _________ sibling(s). 3. I am looking forward to _________ this Spring. 4. The first sign of Spring this year was _________. 1. I am the tallest woman in my family. 2. I have one sibling. 3. I am looking forward to enjoying some fresh air this Spring. 4. The first sign of Spring this year was the crocus blooming in my yard. As is customary for our Friday posts, you will now of course get a dose of Eddy. And you know what? She actually briefly sat still for her photo shoot this week! I probably shouldn't get used to Eddy sitting still like this. After all, this girl is usually all about those action scenes. All of us here are wishing all of you out there a fabulous Friday! 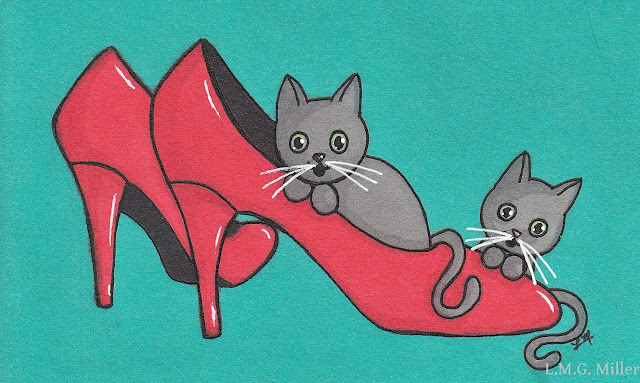 This is another doodle I scribbled up before heading to the Crazy Cat Lady Fashion Show tomorrow, an event I'll be volunteering at for the benefit of our local rescue group Hospice Hearts. There's only one thing that could get me interested in fashion, and that is kitties! We're nearing the end of National Pet Poison Awareness Month, but we still have a couple more such tips to share with you all. Today's tip is about those pots and pans in your kitchen. Primarily, be cautious when using nonstick pans, such as those with Teflon, as heating these to high temperatures can lead to poisonous fumes for some pets. As many of you likely already know, this is primarily a concern when it comes to pet birds. Still, to be on the safe side, be careful when heating such pots and pans around any pets, especially those that are small. For that matter also be careful with other similar kitchen items, such as aerosol cooking sprays and self-cleaning ovens, as it is not impossible for fumes from these to also pose dangers. When in doubt, err on the side of caution and simply do not use it. Hello and happy Thursday, friends! Our title probably gives away what we're up to today, just as it does every Thursday. As always, we'll kick this Thursday off with the Thoroughly Poetic Thursday challenge, hosted by none other than Angel Sammy and Teddy. I always try to give a brief explanation (which often turns into a painfully long explanation) about how I got from the photo prompt to the poem I'm sharing. I feel like this might help you all better understand how I end up with the strange poems that I do. Now, let's see if I can actually make this explanation bearably brief. So, this week's photo looked to me like it could be an image of a portal capable of transporting you into some magical jungle land. That's probably because I am a huge fan of the fantasy genre and read books like The Chronicles of Narnia as a child. Has anyone else read The Chronicles of Narnia? These books include a character named Aslan, who happens to be a great and magical lion. Anyway, I sort of went with these thoughts and then ended up with the poem below. When Josie and fam would head for the hills and pitch a tent. Out of which they could see the beginning and the end of the day. They sat around the fire listening to the crickets sing their chorus. For it sounded as if something in the nearby jungle stirred. The bushes swaying as if dancing their very own groove. Had anyone else seen that? Ma and Pa said it was probably just a rat. Which she was certain she'd just seen over there off of that trail. And it was time to get some shut-eye. So to her sleeping bag she indeed retired. Before something in the forest her ears did detect. While on its floor something rustled and made Josie freeze. That striped tail Josie had seen before going to bed. Josie knew she was right about that. Yet the rustling in the forest Josie still could hear. And from the camp in the cave she did sneak. Josie stopped and wondered if this idea was one of her poorest. Into the jungle that spanned so wide. But saw nothing of interest from where she stood. Hoping to see what had rustled the bushes on the forest floor. If she only just stepped farther a few more times. But, alas, nothing caught Josie's eye. She was now also sure she was lost, she could not lie. And she did not even have a compass to check. And that was all that her two little eyes could see. She had seen it earlier with her own two eyes. Had it been over there to her left? But she only became more lost with every single step. But fear was welling up inside her like a ticking time bomb. For it was surely never too early to panic. But she feared something unsavory would hear her yelp. What if the thing with the striped tail was less than benevolent? What if it was a jungle creature terrifying and petulant? Josie yet again heard that rustling. Something was in a nearby bush bustling. That striped tail that seemed attached to something now in a rush. And Josie was filled with both wonder and fear. Which led up to a head that was far from shoddy. Standing before Josie was none other than a tiger. As the tiger looked her dead in the face. Josie realized her curiosity had been nothing but crazy. And Josie without even a torch to guide her. But she thought this wasn't really the time or place for that. And so Josie tried with all her might to formulate a plan. She wondered what would happen if she simply ran. And without further ado said, "Hello,"
Which gave Josie's sanity quite a blow. Josie stuttered and asked, "You can talk?" Her voice was no more than a squawk. "Obviously," was what the tiger said in reply. Josie was not sure whether to run, scream, or cry. Then the tiger spoke again. "You look lost," it told Josie right then. And Josie wondered if for this situation there was any cure. "Please, if you will, don't eat me." The tiger laughed and laughed at that. At least, that's what sounded like came out of the big cat. "I don't eat little girls," the tiger purred. "Whatever gave you an idea so absurd?" Josie could finally laugh along with her new friend. The tiger's laughter died down with a purr. Then it extended a paw with, "My name is Ginger." Taking Ginger's paw with confused thoughts flying through her mind. 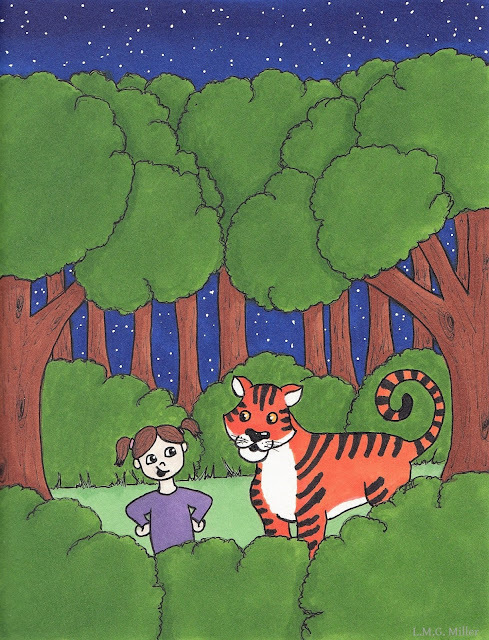 "I will help you find your way back to camp, Josie, my friend,"
Were the next words Ginger the tiger did lend. "But first," Ginger said, "can I ask you a favor?" "Of course," Josie replied without waver. And asked Josie if she would come with her a bit farther into the night. But then decided to trust Ginger without hesitation. And then followed the way her feline friend did set. And Josie began to wonder how far this jungle really spanned. Making it sound as if they had arrived at a whole new nation. And when Josie followed she could not believe what she did see. Where there was nothing but light and color amongst the oaks and elms. For there were all sorts of big cats moving about with grace. Other tigers glided here and there. There were lions, panthers, and cats everywhere! And she felt not even an ounce of fear inside of her. And the sight quite honestly made her want to cry. There beside a tree sat a tiger in a cage. It looked quite sad and of a very young age. All of them looking with sadness quite stricken. As she pointed to the cage holding the little cat. Saying, "This is why I asked of you a favor." Ginger then gave Josie the recap. And with the little tiger inside it did close with a snap. But they realized they were unable to open it and were all quite shaken. Ginger finished, "We cats lack the opposable thumbs for the task. That is why for your help, Josie, I did ask." And she hurried over to the cage without further ado. And then set her fingers and thumb to the task. And the little tiger jumped outside. Thanking Josie with all of their might. And tossed it out of sight with its mighty paws. 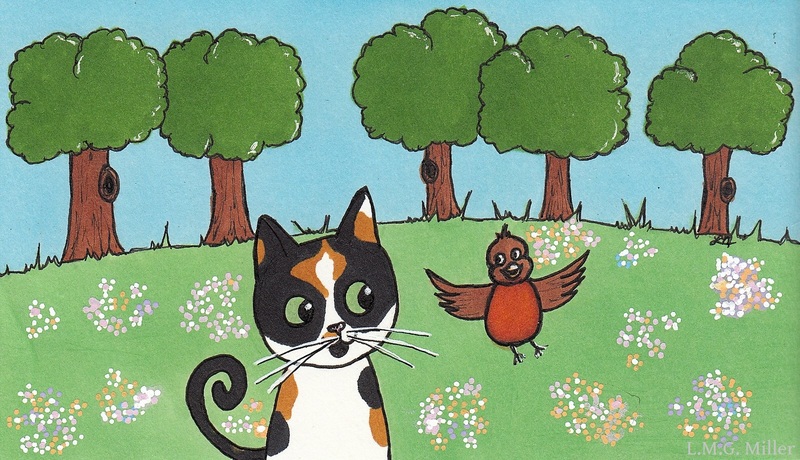 Ginger told Josie that before long her parents would find her missing. The tiger said, "Shall we now help you find your way? So that you can be back at your camp before the break of day?" Josie knew this adventure would eventually have to end. And so Ginger guided Josie back through the trees. They walked and talked as through the jungle blew a breeze. The campfire nothing but embers in the night. "Farewell, Josie, my friend," Ginger did say. Josie gave her a hug and then slowly went on her way. But when she wriggled into her sleeping bag she fell into a nap. When she awoke she could not help but wonder if it had all been a dream. Had she really seen all that she had seen? And the sight she saw was really quite fond. And Josie knew that her new friends were real without fail. Now Thimble is here for a closeup shot of what she's been up to. This girl has yet again been basking in the glorious sun we've been having. It may still be plenty cold out there these days, but it sure is nice to see the sun, and to bask in its warm and cozy sun puddles. That's why Thimble is entering her gratitude for the sun into Brian's Thankful Thursday Blog Hop. We are indeed so very thankful for the sunshine, and that spring is just around the corner. We are thankful that our grass is starting to turn green again, and that lovely flowers are starting to pop up all over the neighborhood. Even more so, as always, we are so thankful for family and friends, like all of you! To all of you friends of ours, we wish you a most terrific Thursday! Today's National Pet Poison Awareness Month tip is yet another one regarding random yet potentially toxic items that might be found in the the home. Today's household item to be aware of is matches. Matches can contain potentially toxic substances, such as potassium nitrate. It is also possible for matches to contain heavy metals or other dangerous components. Ingestion of matches can lead to toxicity for your furbaby, with the effects depending on the quantity ingested. Poisoning from the ingestion of matches can result in symptoms such as vomiting and diarrhea. Consuming items such as matches can also lead to a variety of other problems, such as perforation or obstruction of the bowels. Needless to say, to prevent any such issues, of course keep matches and all dangerous items well out of reach of your kitty or pup. In this same line of thought, also keep items such as lighters and lighter fluids hidden away. These can also contain components that are potentially toxic to kitties and pups. And what do we always say? It's better to be safe than sorry! Do any of you friends of ours have fursibs who infringe on your photo shoots? Now, completely switching gears, our doodle for today is another one I scribbled up for the Crazy Cat Lady Fashion Show I'll be volunteering at this weekend. This event will benefit the local non-profit, volunteer-based rescue group known as Hospice Hearts. I've mentioned this rescue group on here before, but in case you don't know, the mission of Hospice Hearts is to foster and re-home cats and dogs whose owners are no longer able to care for them due to their health, relocation to a nursing home, or other extenuating circumstances. Hospice Hearts has also been known to pull animals from instances of hoarding, abuse, and neglect, and has also pulled animals from the kill lists of other nearby shelters. Last summer, Hospice Hearts orchestrated a last-minute rescue of over 80 cats scheduled to be euthanized at a nearby shelter, after the shelter's space and resources were strained following an influx of cats brought in from a hoarding case. On the very day all of those kitties were meant to die, Hospice Hearts stepped in to orchestrate the rescue and redistribution of every single one of them. What's more, every single one of the 80+ cats rescued from that situation has since been adopted out. In case you can't tell, I am a huge proponent of all the good work that Hospice Hearts does in my local area. I already know that some of my future furbabies will be adopted from this group. That all being said, though I typically quite dislike all things relating to fashion, most definitely including high heels, I am looking forward to the Crazy Cat Lady Fashion Show for Hospice Hearts. After all, this rescue group is something else. At the catty fashion show there will be many locally crafted outfits being modeled, the majority of them being clothing items that are indeed cat-themed. That's the way to fashion, if you ask this cat lady. All of these pieces will then be auctioned off at the end of the event, with all proceeds benefiting the adoptable cats of Hospice Hearts. There will also be some local vendors of other goods there, to bring in more proceeds for the kitties. This is why, despite my lack of prestige in the realm of fashion, I've been working on doodles like the one above to have available at the Crazy Cat Lady Fashion Show. It's all for the kitties, as it should be! In case you missed any of the previous links we've shared and wish to learn more about Hospice Hearts, just click here! So, what types of fun and fantastic events do your local shelters and rescue groups host for their adoptees? I'm always happy and curious to hear what all wonderful ideas come about for the benefit of animals. One of our previous National Pet Poison Awareness Month tips was on the dangers of medications indeed formulated for our furbabies. We meant to (yet failed to) expand on a particular topic in this regard. That topic is as that of topical preventatives. First and foremost, always ensure that you are giving preventatives specifically formulated for the species at hand. Just one reason for this is that some flea and tick preventatives formulated for dogs are toxic to cats. Many such canine preventatives contain pyrethrin/pyrethroid, to which cats are highly sensitive. Pyrethrin/pyrethroid poisoning can result in excessive drooling, vomiting, difficulty walking, or seizures, just to name a few. So, never apply dog preventatives on your kitty. Also, be careful if your cat lives in a household with a dog who receives preventatives. In such a case, try to look for canine preventatives that do not contain pyrethrin/pyrethroid, or keep the dog and cat separated for a safe amount of time after application. Ask your veterinarian for information on how to keep both your kitty and pup healthy and safe, yet also protected from pests. It's also worth noting that some other forms of flea, tick, or other pest preventatives, such as sprays, may contain pyrethrin/pyrethroid. Always check the label, and only use products that you are certain will not harm your kitties or pups. Again, ask your veterinarian if you have any questions or concerns regarding a product's safety. In addition, know your cat or dog's weight and select preventatives accordingly. Administering a medication intended for a cat or dog larger than yours could have negative effects for the furbaby. Also be aware of their age, as some kittens or puppies, for example, may not yet be of an age deemed safe for the application of some preventatives. What's more, also always take into consideration your furbaby's overall health status. If your cat or dog suffers from any ailments, always discuss with your veterinarian the safety of giving a preventative. While we of course want to keep our furry family members safe from fleas, ticks, heartworms, and all sorts of infestations, it is important that we do so safely. Last week, Astrid shared her thoughts in a review as part of the Chewy.com Blogger Outreach Program. Today, it's the kitties' turn, and they got to try out Nutro™ Wild Frontier™ moist food. The good thing is that this food is a paté variety. The kitties will essentially only eat paté, because chunks and morsels are apparently disgusting. Around here, we don't chew, we only slurp. What's also great about this Nutro™ Wild Frontier™ food is that it's made with real chicken, or real salmon, as the first ingredient. It also grain-free and contains no corn, wheat, soy, or artificial colors, flavors, or preservatives. That sure all sounds great, doesn't it? But, the main test is whether the finicky felines around here deem it worthy. So, what did they think? Our housemate Toby was the first one to try it out. He gave it more than a few licks, which is a great sign from any kitty in this house. Evan (the blur in that photo up there) gave the Nutro™ Wild Frontier™ food a good sniff, but did not at this time taste test it. The real kicker was when Thimble gave it a few licks. Eddy is by far the most finicky kitty in the house and simply will not eat any moist food (hence why you never see her in our review posts, because she simply just couldn't care less). Thimble is probably the next pickiest kitty in the house, which is why her giving this Nutro™ Wild Frontier™ food a go is a great sign. The kitties did not finish the Nutro™ food in their bowls in one sitting. That means nothing, though, as it takes them hours to finish even their most favorite moist food meals. The kitties around here are the epitome of grazing nibblers. Throughout the day, though, the bowls filled with Nutro™ Wild Frontier™ moist food got emptier and emptier, which means some kitties were stealthily enjoying the food, which also means it gets at least a few paws up from us! We hope all of our friends have a terrifically tasty Tuesday! Our little doodle today is in honor of the first day of spring, which just so happens to be today. I always know spring really is upon us when I start seeing and hearing robins, and I saw lots of robins on the beautiful walks I took with pup Astrid this weekend. Robins may look like a plain and simple bird, but they are my favorite. Today's National Pet Poison Awareness Month tip is one that relates to our previous tips on pesticides, but is also one upon which we failed to expand. The type of pesticide of which we speak today is none other than mothballs. Mothballs come in a variety of forms, and typically release gas vapors intended to repel or kill moths, or other pests. When it comes to our furbabies, mothballs can cause toxicity via inhalation, skin contact, or ingestion. Dogs are perhaps the most likely to ingest mothballs, but cats are more sensitive to their effects. Old-fashioned mothballs are the most dangerous, as they contain naphthalene. More modern mothballs are typically formulated to be less dangerous to kitties, pups, and ourselves, but they can still pose risks. Mothball poisoning can result in vomiting, lethargy, difficulty breathing, or even failure of organs such as the liver or kidneys. Needless to say, it is likely best to avoid the use of mothballs altogether. There are alternatives to ridding your clothes or areas of the home of moths. Some of these methods may require more laborious cleaning and may indeed be more time-consuming than simply tossing in a mothball, but the health of your furbaby is well worth the effort. We've arrived at Monday, friends. This may seem like bad news to some, but not to Evan, because it means he gets to be our blog's star of the day. After all, he is a mancat on this Mancat Monday. Can you see Evan past all that sunshine? 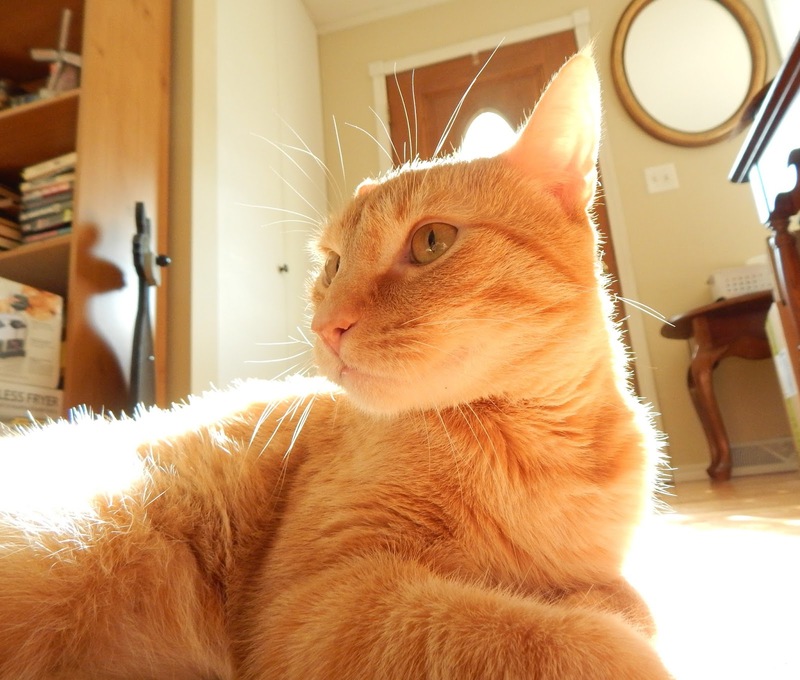 Evan would have snapped another shot, with better lighting, but he wasn't about to give up that sun puddle. Are you friends of ours enjoying some sunshine these days? We sure hope so! We can almost smell spring in the air. Almost. This sunny shot isn't all that Evan has to share with you all today, though. He also wants to give you all our words for today's Sparks blog hop. 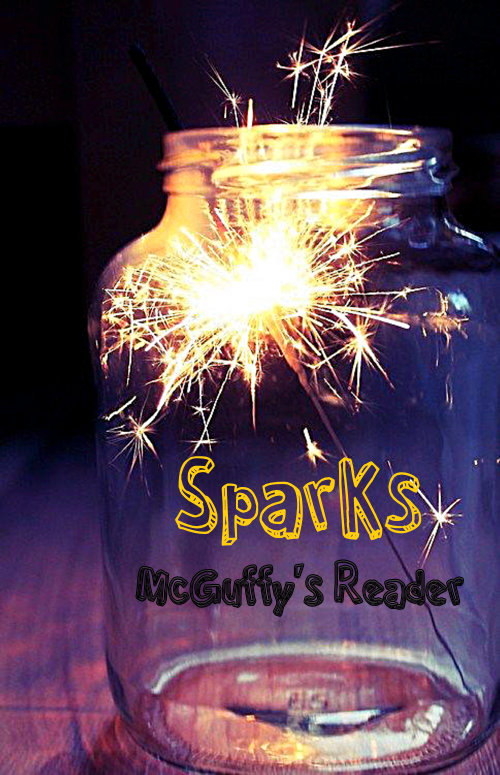 The Sparks blog hop is hosted by Annie of McGuffy's Reader. It is meant to be a way for us all to share positive thoughts in today's often negative world. We must admit that, though our thought for today is a positive one, it's also a bit more on the silly side. When this quote popped up on Pinterest, though, it just seemed to be begging to be shared as a Sparks. So, here it is. It is of course important to be confident, but it's even better to be sweet at the same time. 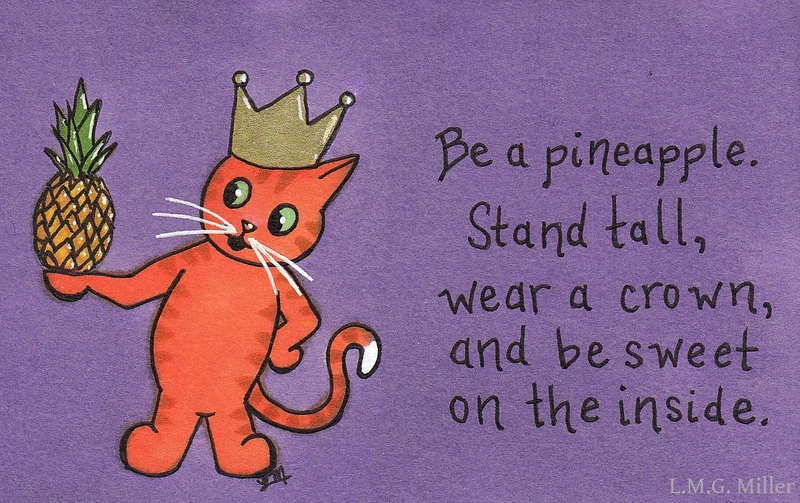 It would seem pineapples have this skill down pat, so perhaps they could be considered good role models. Wishing you all a magnificent, motivational Monday! After yesterday's National Pet Poison Awareness Month tip on paint products, we wanted to also give a PSA on the dangers of certain glues. If we're to be honest, the primary danger of glue isn't necessarily poisonous effects. Nevertheless, we still want to warn of the life-threatening hazards of glue. Some glues, such as glues for wood or construction, as well as heavy-duty glues such as Gorilla Glue, can lead to severe side effects. Ingestion of these glues can cause symptoms such as gastrointestinal distress, vomiting, and decreased appetite. What's more, though, is that these types of glues can contain diisocyanates, which can mix with stomach acid and then expand. This can then lead to bowel obstruction. Bowel obstruction is nothing to take lightly, and will often require surgery. Needless to say, if your kitty or pup gets into glue, especially heavy-duty glue that contains diisocyanates, seek veterinary care immediately. Of course, to prevent such emergencies, take no risks and be sure to hide away any and all glues someplace where your furbaby cannot reach. It's always a toss-up which furbaby around here might snap our selfie each week. I don't often have a willing volunteer, but wen I do, it's usually this girl. Thimble is the furbaby here who most enjoys having her soul stolen picture taken. For this week's selfie, she wanted to share with you all a profile shot. The lovely sunshine is just a bonus. Of course, Thimble snapped this shot for the Sunday Selfies blog hop, hosted by the Kitties Blue over at The Cat on My Head. We hope all of you friends of ours have a stupendous Sunday! This upcoming weekend I'll be assisting at an event for a local rescue group known as Hospice Hearts. I've mentioned this group on here before, and you can learn more about them by clicking here. The event I'll be assisting at is called the Crazy Cat Lady Fashion Show, which is indeed a fun, catty fashion show from which proceeds will of course be used for the care of the adoptable kitties at Hospice Hearts. I usually have next to no interest in fashion, but I'll make an exception for kitties. 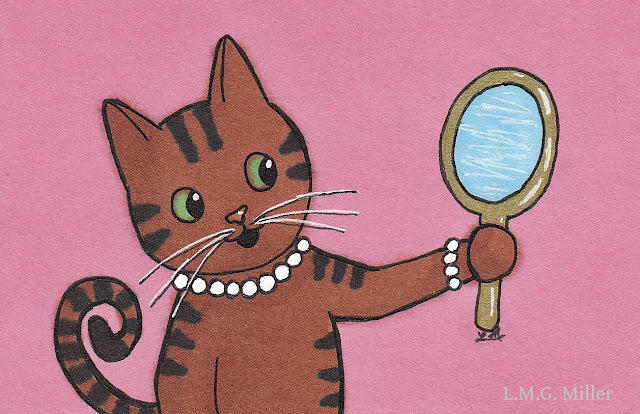 So, for the Crazy Cat Lady Fashion Show, I thought I'd doodle up some fashionable kitties, starting with this one. We've given past tips on the dangers of paint products, but we're going to repeat this for National Pet Poison Awareness Month. Unsurprisingly, paint, varnish, and other similar products can be toxic to our furbabies. Lead paints can of course cause lead poisoning, which can cause a variety of severe symptoms, including those of the gastrointestinal and neurological systems. Lead can also be detrimental to red blood cells, brain function, and other important processes in the body. Oil-based paints can also be dangerous, potentially causing diarrhea as well as having serious effects on the lungs. They may also contain heavy metals and thereby cause symptoms similar to those of lead paint toxicity. Products such as varnish can also have similar negative side effects as paint. Also keep in mind that paint and paint products can emit dangerous fumes. Especially without proper ventilation, inhalation of the fumes can cause irritation of the lungs or symptoms such as dizziness. To avoid emergencies related to the ingestion or inhalation of paint or other paint products, of course keep these items well out of reach of your furbabies. Try to keep your furbabies safely out of areas that are being painted. Should ingestion or inhalation of paint products occur, do not hesitate to seek veterinary assistance. Our resident ginger wants to invite all of you friends over to his leprechaun hut to celebrate. He's handing out lots of luck and a bit of gold. Of course, you're free to kiss him, too. After all, he is Irish. We're wishing you all lots of luck and many blessings, today and every day! 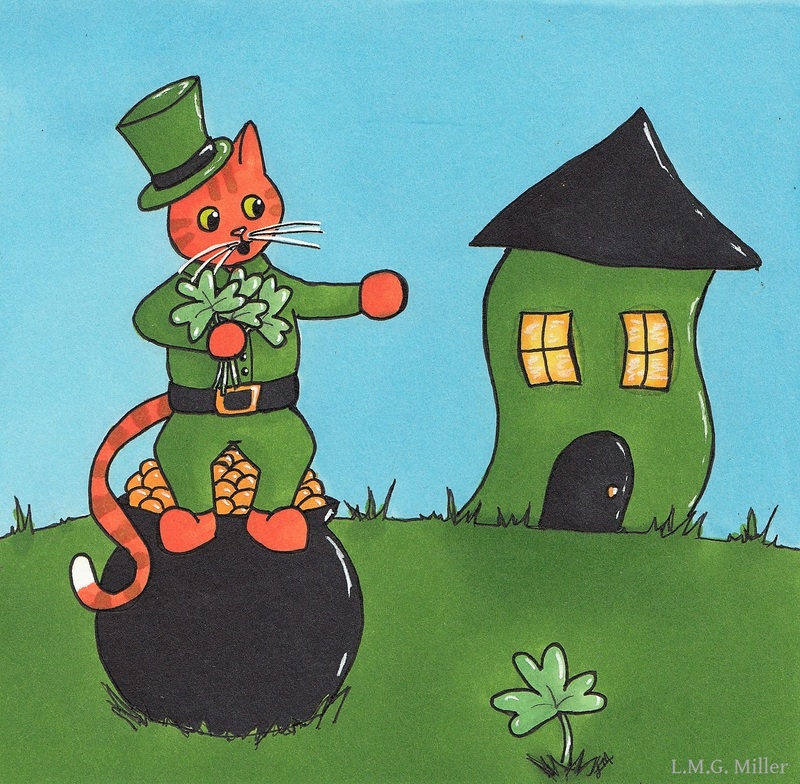 Of course, this St. Paddy's Day doodle is our contribution to Athena's Caturday Art blog hop. Be sure to visit Athena see all of the fun and festive art our friends have created this week! We haven't reached the end of National Pet Poison Awareness Month yet, so we'll keep these tips coming. Today's tip on potentially poisonous household items relates to batteries. We briefly mentioned their danger before, but now we'll give a bit of further information on them. If a dog or even a cat bites a battery or ingests it, the acidic or alkaline components could leak out and enter their gastrointestinal system. This material is corrosive in nature, and can therefore cause serious side effects, including oral ulcers, vomiting, other various signs of gastrointestinal distress, and even fever. Due to the corrosive nature of battery components, vomiting should not be induced in the case of ingestion, as this will cause further damage. Immediate care can include rinsing out your pup or kitty's mouth with lukewarm water to remove as much of the battery material as possible. Of course, quickly follow that up with immediate veterinary care. To prevent such emergencies, keep all batteries tucked safely away where curious furbabies cannot get to them. As always, it's better to be safe than sorry!